Small Overhead Crane Low Price Crane Mobile Crane Portable Crane Best Choice! 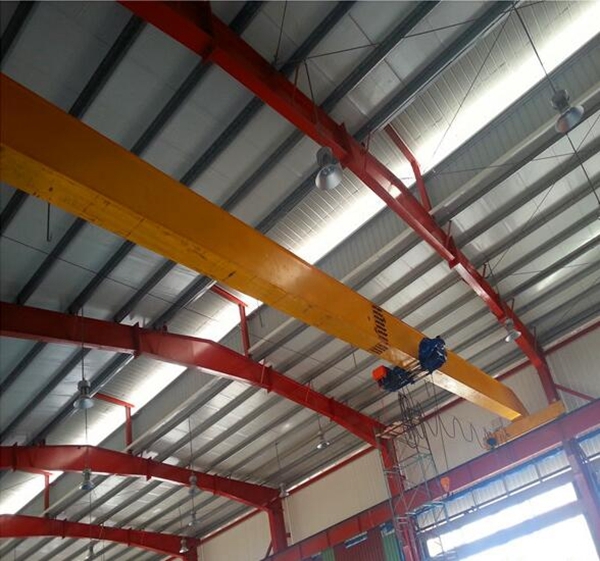 Small overhead crane is widely used for light duty work in warehouse, shop, storage, material stocks and workstation. With light weight, small cranes can lift or transport the goods and materials quickly from one place to another place, which can improve the work efficiency. The light weight has little wheel pressure on the track. Travelling small bridge crane also has many other advantages as good stiffness, less height of structure, large span, compact frame, beautiful shape. Ellsen Group, a professional crane manufacturer and supplier in China, provides customers small cranes with best dealer price and top quality. Why choose Ellsen small bridge cranes? First, widespread use. Ellsen cranes are widely used in the industry of machinery manufacturing, metallurgy, petroleum, paper mill, building materials for lifting and transporting goods, especially for accurate positioning and precise assembly. Ellsen cranes have a simple structure, easy installation and maintenance and good ability to adapt different work conditions. Second, cost effective. Compared with common cranes, Ellsen small lift cranes have advantages of small size, light weight, low wheel pressure. The limiting distance from hook to the wall is shortest, the headroom is lowest, and lifting height is higher. These can increase factory’s effective working room and the factory can be designed smaller and with more functions. 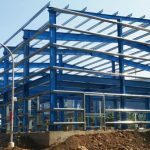 Smaller factory means cost savings of initial construction investment, long-term heat supply, air-conditioner and other maintenances. Third, secure and reliable. Safety protection is also key point that customers care about. There are multiple safe protectors of Ellsen small hoisting crane, for example, overload protection, earth protection, overheating protection, phase sequence protection function, lifting travel protection. Robust security means low failure rate and less repair or maintenance cost. There are some things people hate, and that is overhead cranes which are not helpful for smaller work. You don’t always have massive tons to lift, and that is where a good, lighter crane is going to be effective. You want a crane where it is not getting in the way and is just doing an excellent job of lifting things. This is why the small overhead crane is now a very popular option and is seen as the ‘go-to’ choice for any light duty work that is being carried out on site. You won’t trust anything else. 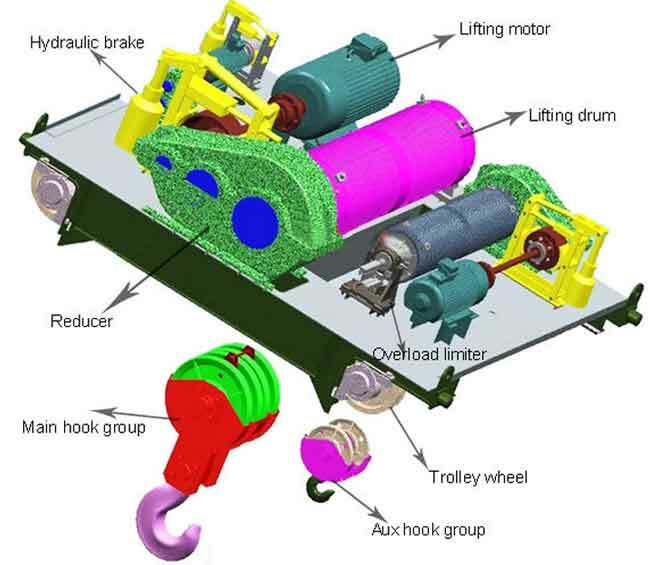 The small overhead crane is going to be ideal for specific lifting as that is what most light duty work encompasses. You can get into those tighter spots and make sure the lifting is in place. You won’t have to go with a solution where the lifting is not working in your favor. When the lifting is not precise, you have to remain as calm as you can be. The exact nature of this crane is what makes it appealing to most operators. You can get the load from all angles and get it up to where you want it to be. The operator is not going to be a person that has all the time in the world. They are on a timeline, and those deadlines will have to be met, or things are not going to look merry for them when it comes to work performance. They have to meet those targets, and that is only going to take place when a good crane is there. You want light duty work to be done by a small overhead crane rather than lugging forward something that is taking up too much space for no reason at all. You won’t have the same workstation as everyone else, so a good crane is one that can adapt to a situation and make it work. The load being lifted is not going to adjust for the crane, so it has to be the other way around. This is the only way people are going to get as much out of their situation as needed. Those who are not careful will be the ones who are going to get a crane that will cause trouble. A small overhead crane is one of those neat additions you can make without ruining the rest of your workstation. It just comes in and does a good job of lifting. 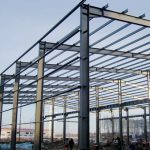 You will have enough headroom to work, and the lifting height is going to be tremendous as well. You will know this is going to be ideal for all of your practical needs in the short and long-term. It will be able to get under the location that you are lifting and work well immediately. The best cranes are always the ones that adjust to the situation, and this is the best in that regard. How to operate cranes safely? While running a workshop, a warehouse, or a manufacturing plant, moving items around in the plant can be very challenging. The problem is exacerbated when the items in question are heavy and bulky items. Moving such items in the confines of a defined space is a challenge that more often than not, proves to be a challenge to the overall efficiency of the plant. To keep such plants working and running efficiently a solution to the challenges of plant logistics should be a priority. Frees Up Floor Spaces In normal conditions, a large part of the floor is fully dedicated to moving items. This space in many regards can be considered as wasted spaces. For instance, aisles are only used when items are being moved around. Consequently, the vast majority of the time, they remain unused and somewhat wasted. Having a small overhead crane ensures that you can utilize the vast majority of space in the plant. Improved Safety Beyond convenience and efficiency offered by moving items around using an overhead crane, there is the advantage of improved safety. Since there are very few items that are moved on the floor, you reduce the risk of accidents while moving items across a plant. Durability This advantage is specific to small overhead cranes. 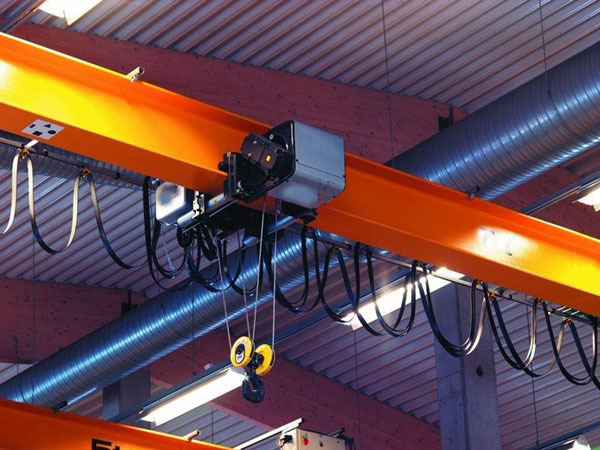 Since the parts of a small overhead cranes are relatively smaller, they tend to be very sturdy. This results to very durable overhead cranes. 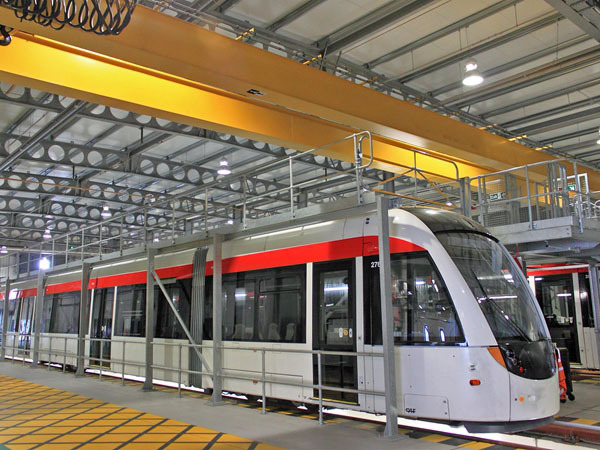 This is closely associated with a low maintenance cost of running and using small overhead cranes. 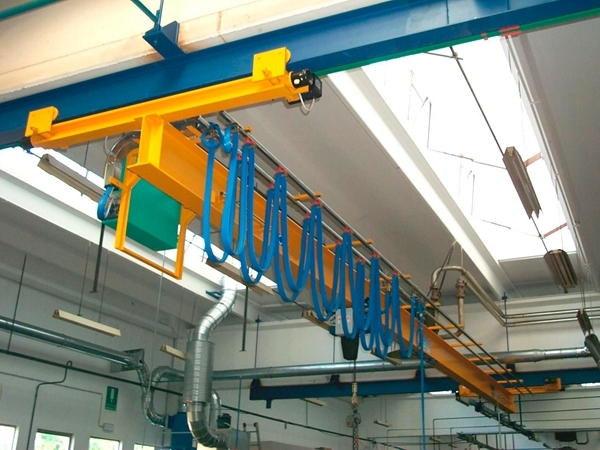 Cost Effective When compared to other lifting machines, small overhead cranes are very cost effective. They consume very little energy while at the same time they work very efficiently in moving items around in a factory or warehouse. Due the durability and long life, the amount of money spent as maintenance cost is very little. Also, they do not cost a fortune to install. Customization Small overhead cranes are very easy to customize. 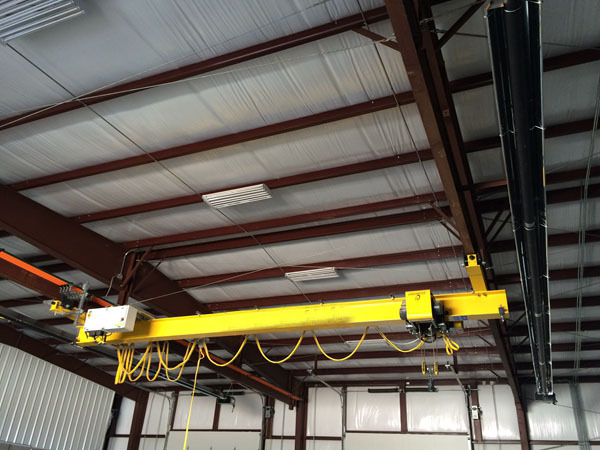 In this regard, plant managers can order an overhead crane that suits the plant needs well. Such levels of customizations are very difficult to achieve when you opt for large overhead cranes. In addition to size customizations, you can also customize the system to be used by the crane, either automatic, manual or semi-automatic. Improved Working Conditions Moving items from one end of a plant to the other end of the plant may lead to inducing stress to workers. This may occur due to the strain, noise, and the overall challenge of such endeavors. Having a small overhead crane averts the occurrence of this stress by improving the working conditions of the workers. 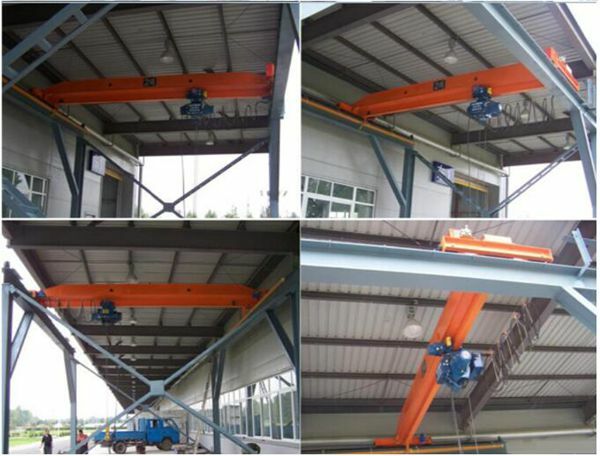 Since such cranes are characterized by small noise pollution, the working conditions are also improved.